AN 1: I wrote this chapter while listening to the Jurassic Park Soundtrack so, go ahead and enjoy the opening theme, at least. Sonia, for some strange reason, decided to yell at her sweetie. Maybe she was just crabby because she was getting smelly… that pile of trash didn’t seem to be helping her either. 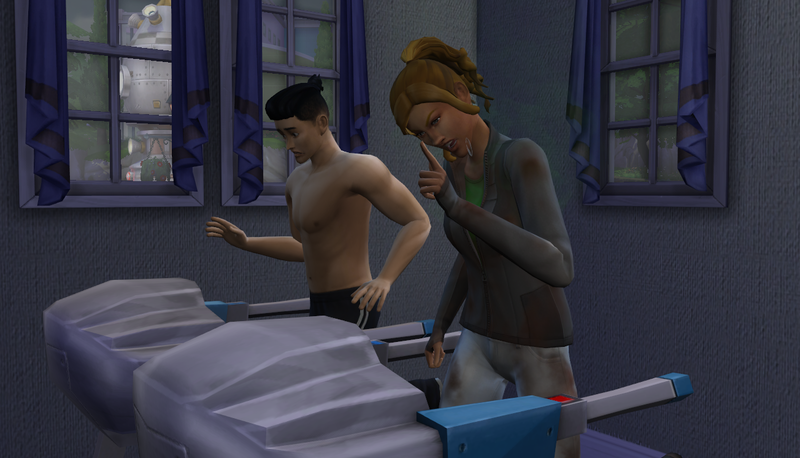 This was also the moment I realized I should probably hire a maid and hope they actually do their job… The mess was causing a bit of tension. In the early hours of Saturday morning, Mamo woke early, starving. Late night workouts before bed will do that for a guy. 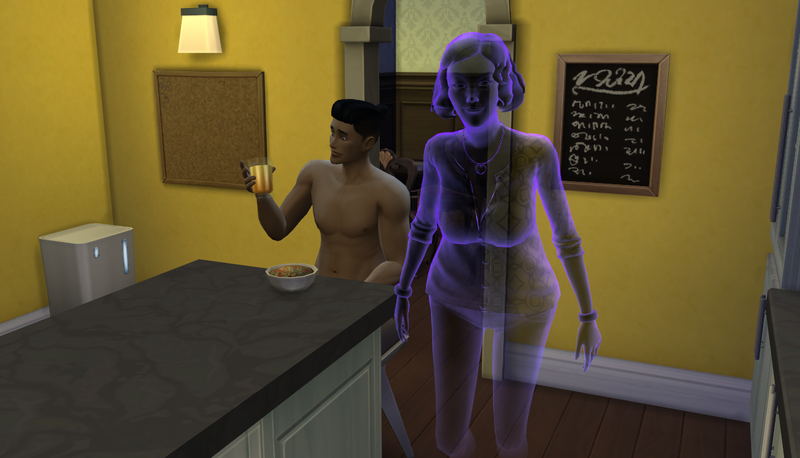 During his meal, we were blessed to see Nade for the first time as a ghost. 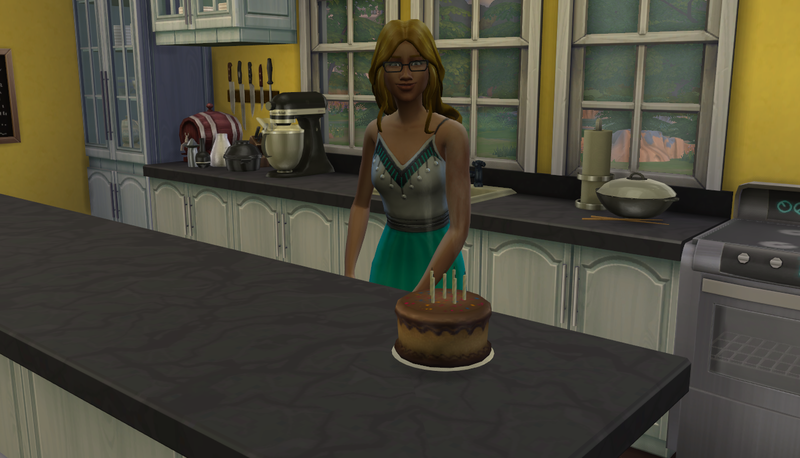 She ate some of the goodies Sami baked up (she’s becoming quite the baker!). I tried really hard to not miss Sonia’s birthday when it popped up. 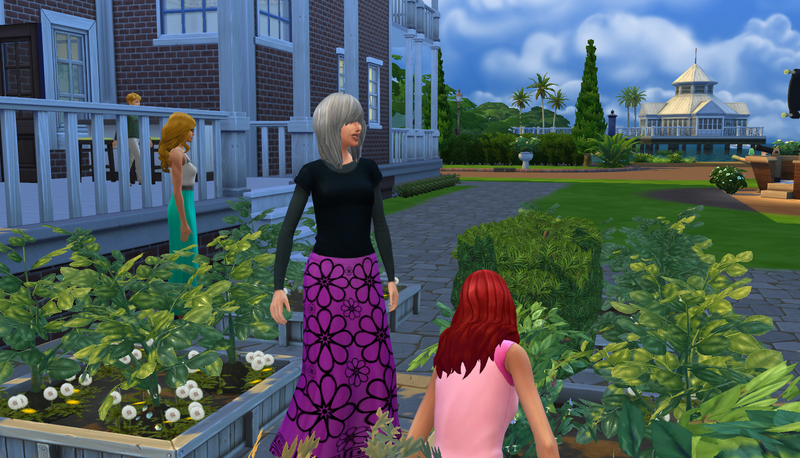 Momo was there to cheer her mother on into adulthood! She hardly looks different. 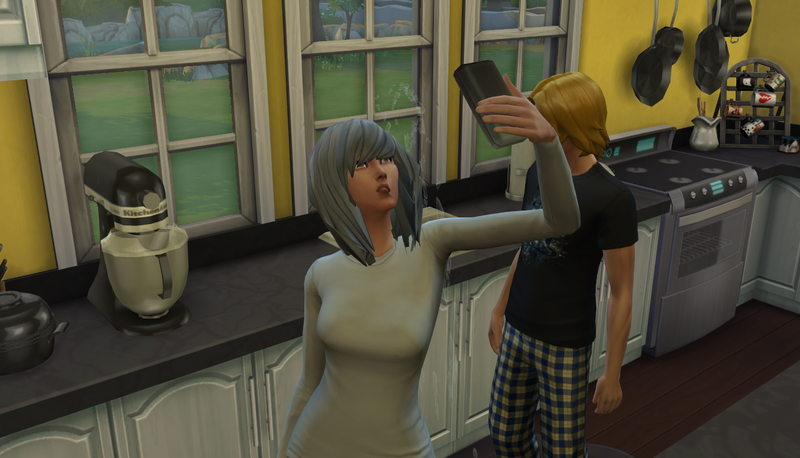 Such a pretty Sim. 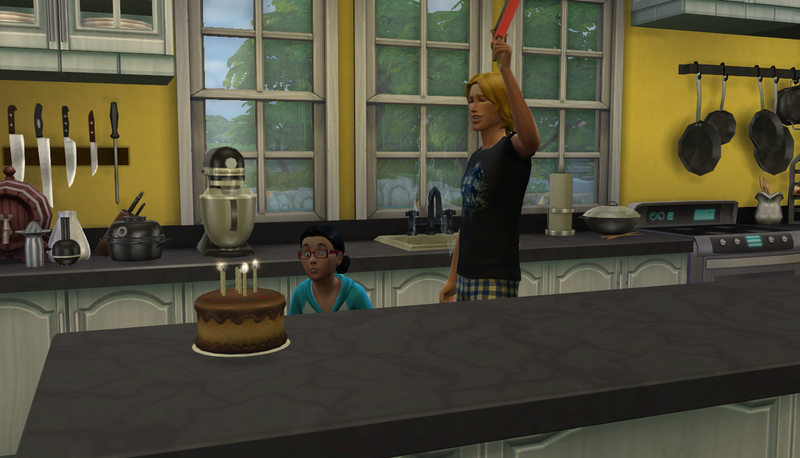 This weekend was a busy one for birthdays; somehow I missed Sora’s young adult birthday! 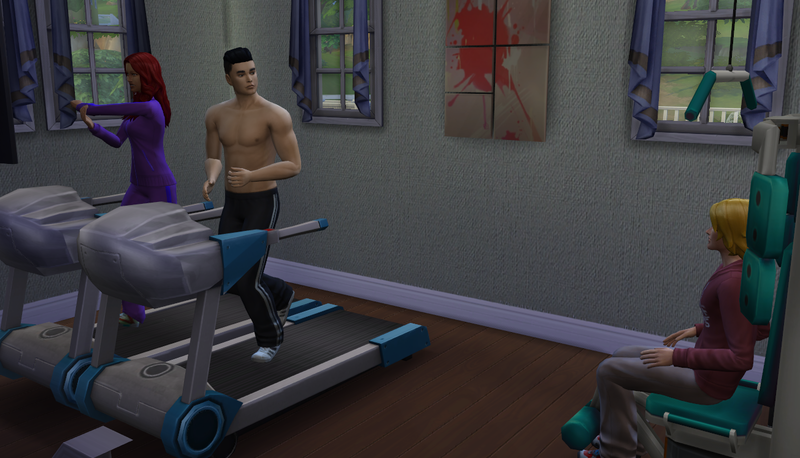 To take his mind off the forgetfulness of the watcher, the three muscle minds of Sami, Mamo, and Sora decided to spend their time together in the home gym. 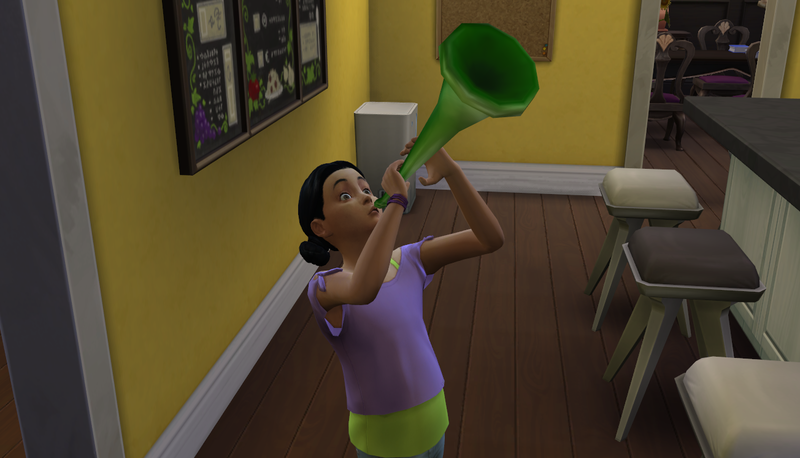 Social, fun, and aspiration goals accomplished all at the same time! The final birthday of the weekend was Sunday. It was Momoko’s turn and I had her continue on her creative aspiration as long as possible. 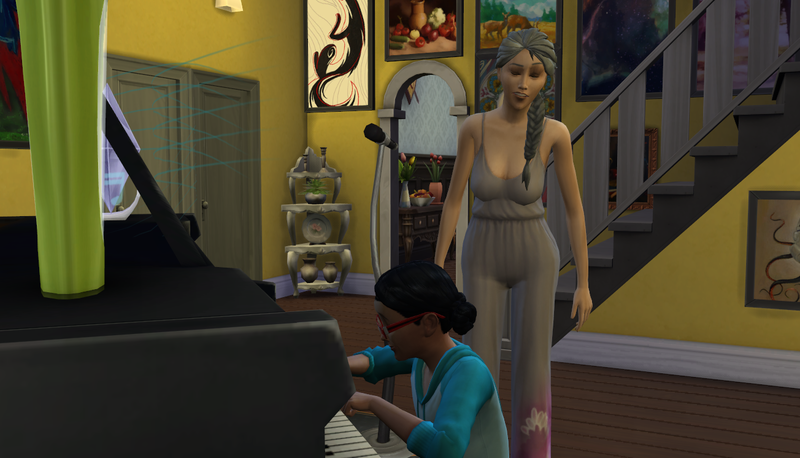 Aya gracefully mentored her great great niece and helped her get to that final level of creativity. Hooray, thanks! Just in time, too, as Momo’s birthday bar sparkled eagerly. Sora was there to cheer his little sis on. She had an interesting look going on right from the start. Did you know silver hair is actually a fad for younger women right now? I heard about it a few months back. Anyway, I’m not sure I’ll let her keep it but since I can’t edit their wardrobe right now, we’ll call it a phase. Since the passing of Nade and Maddox the house and garden had been sadly neglected. I went through the family and assigned everyone a task. Yoshi was having a hard time with his fun bar (it was stuck on red for almost three days) so I let him do his own thing. 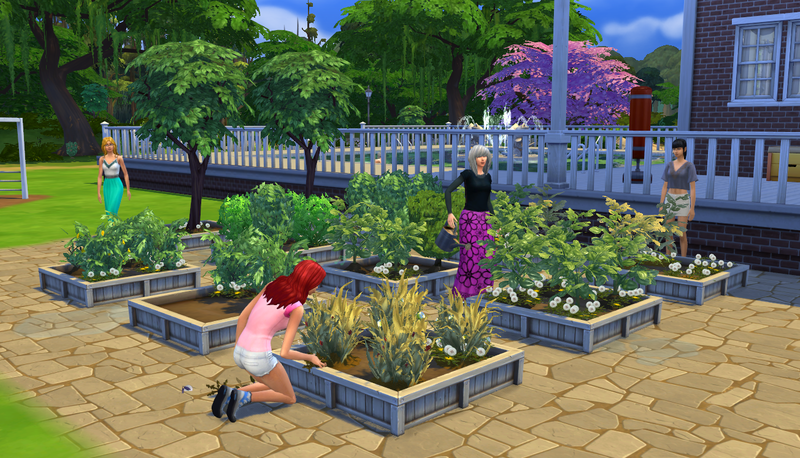 As it turns out, all the ladies went to work in the garden and they had mother/daughter time. So.many.kids. I can’t keep up.